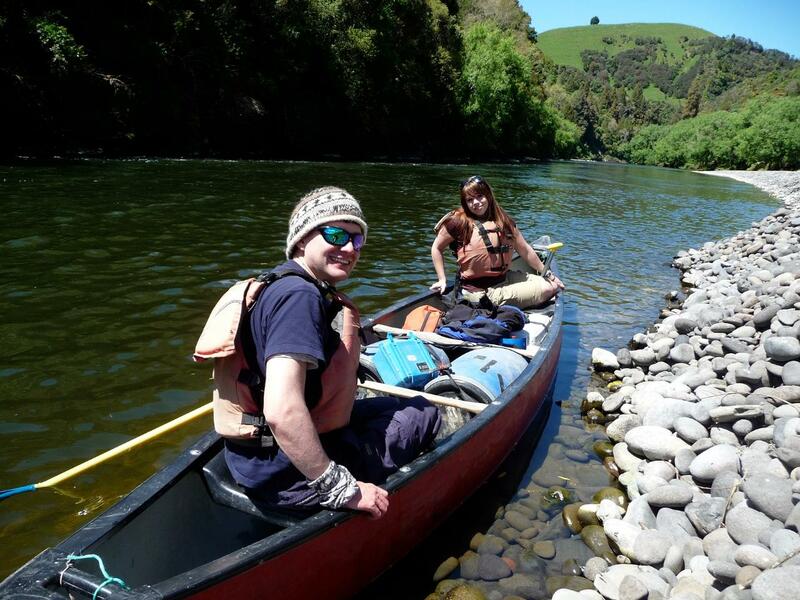 This tour is designed for those who want to experience one of NZ’s Great Walks but from Canoe. This is a unique way of spending time in another of New Zealand’s wonderful National Parks. The Whanganui National Park has rugged terrain covered in lush native forest with the Whanganui River flowing through the heart of it. The Whanganui River is rich with Maori and European history, the largest reminder of which is the famous ‘Bridge to Nowhere’. Just as the early explorers did, you will see and experience the NZ wilderness, pondering if you have taken a step back in time. Paddling downstream you will travel through bush-clad hills, see waterfalls, spectacular sheer gorges, farmland as well as some rapids en-route. Day 1: Whakahoro to John Coull Hut. This day involves a 6-hour paddle to John Coull Hut passing. We will be passing Tamateas Cave at approx 4 hours. Day 2: John Coull Hut to Tieke Marae. Today we have a 5-hour paddle from John Coull Hut to Tieke Marae stopping at the Bridge to Nowhere along the way (1.5 hour return walk). Day 3: Tieke Marae to Pipiriki. It is a four-hour paddle to Pipiriki where we will be met by our transport which will take us back to the Adrift Tongariro base by 5:00 pm. We will successfully negotiate the 3 largest rapids of the journey including the Ngaporo Rapid and the infamous Autapu Rapid. Guide/s, transport between the Adrift Tongariro base and the river put in, Department of Conservation hut or camping passes, meals (vegetarian available on request at time of booking), nourishments and needs whilst on tour. Adrift Tongariro also provides all cooking, camping and canoeing equipment (canoe, dry barrels for your gear, PFD’s, paddles, tents and sleeping mats). Trip departures available summer only (1 October - 31 May) on application and confirmation. Your vehicle can be left at our base whilst canoeing. Personal medications (e.g. Asthma Inhaler, blister protection etc), Sun hat, Sunscreen, Sunglasses, Suntan lotion, covered sandals, shorts, light top, 2 warm top layers (wool, merino, thermals, fleece, soft shell etc. are good layers), waterproof raincoat, 1 set of spare warm clothing to change into at the end of the day, including underwear 1 x spare warm top 1 x pair longs 2 pairs of socks, water bottle and sleeping bag. But please don’t bring too much. We like to meet clients the evening prior to the trip at our base at approx 5.30pm to give them their barrels to pack their gear into.